I was going to bake bread in the middle of the day just for pictures, which frankly is downright insane due to the fact that it’s been over 90 every single day (this past Friday my car was reading 104 on the way home). So mid-day bread never happened. So I suppose I will make do with my night time pictures that somewhat annoy me because of poor lighting. The recipe needs to be shared. 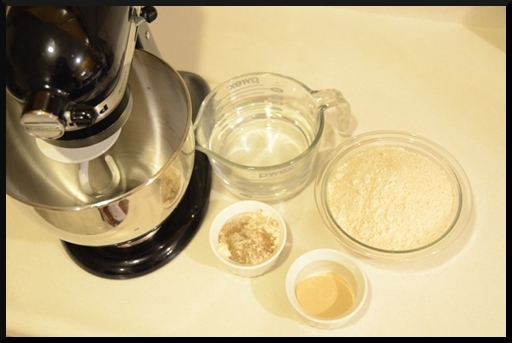 For people who own a grain mill and are looking for an awesome bread recipe look no further. 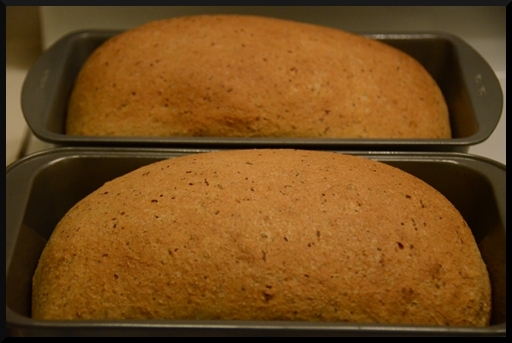 My wonderful friend Stephanie who gave me the South West Chicken recipe also gave me the honey wheat bread recipe! I think one of my favorite things about this bread is that it only takes 1 rise, yet is the best whole wheat bread recipe I’ve ever used. 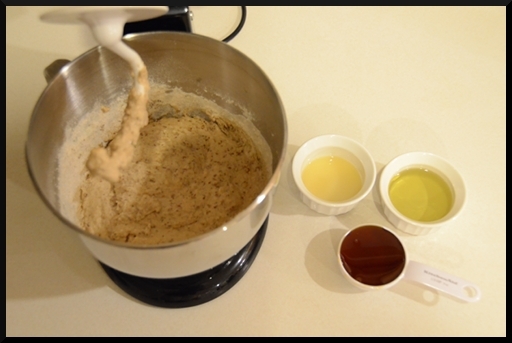 Knead for about 15 min–I let my KitchenAid do it for about 10. 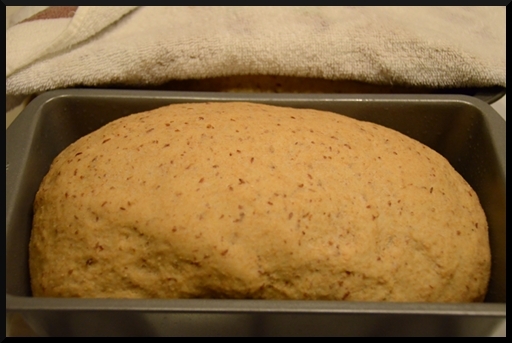 Shape into 2 loaves and place in greased loaf pans. I didn’t get a picture of the other half of the flour going in. That’s the point in which me and my KitchenAid stop being friends because I’m being a slave driver and pushing it just a tad too far. Crazy machine! I disturbed the rising for this picture! The only way to eat this is with homemade butter. Nola demands it… spoiled kids, psh.